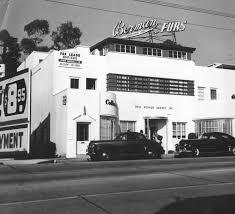 At its meeting on March 28, 2018, the West Hollywood Historic Preservation Commission will consider Berman/Kohner Building at 9165-1969 Sunset Blvd.for local cultural resource status. 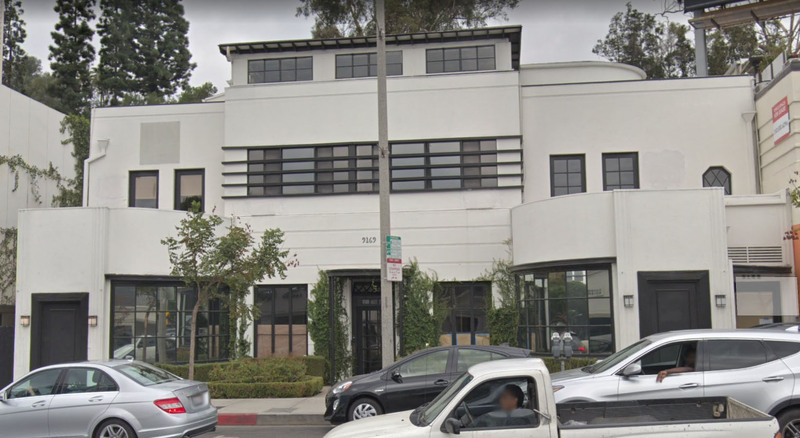 This strikingly designed building served as the Sunset Strip offices for furrier Louis Berman and high-powered Hollywood talent agent Paul Kohner. The building was identified in the city’s recent survey of commercial properties as being potentially eligible for the trifecta of local, state, and national historic status. Gaining local historic status generally affords a building the greatest level of protection since land use rules tend to be very locally based. The building was designed in the mid-1930s by Paul R. Williams, one of the most significant — and prolific — architects who worked in Los Angeles in the 20th century. His commercial projects included numerous landmarks, including the Beverly Hills Hotel, Beverly Wilshire Hotel, Arrowhead Springs Hotel, Knickerbocker Hotel in Hollywood and the building at Doheny Drive and Beverly Blvd. that housed Chasen’s Restaurant, among many others. Williams also designed the residences of actors Frank Sinatra, Barbara Stanwyck, Lucille Ball and Desi Arnaz, ZaSu Pitts, Luise Ranier, Lon Chaney and others, as well as the Sunset Plaza Apartments (1220 Sunset Plaza Dr.), which were demolished in the 1980s despite having been listed in the National Register of Historic Places in 1982. The West Hollywood Preservation Alliance will be speaking in support of this designation and encourages all those interested to attend.